Разстояние до летището 13,2 км. Имате въпрос към Hotel Sea View Palace? Разположен в Лайтхаус бийч, Hotel Sea View Palace е перфектно място да почувствате духа на Kovalam и околностите. Разположен само на 15.00 Km от центъра на града и на 14.00 Km от летището, този 2-звезден хотел привлича всяка година множество посетители . С удобното си местоположение хотелът предлага лесен достъп до всички градски забележителности, които задължително трябва да се видят. Възползвайте се от богатството на ненадминатите услуги и удобства в Kovalam. 24-часов рум-сервиз, безплатен WiFi достъп във всички стаи, 24-часова рецепция, съхраняване на багаж, Wi-Fi връзка в общите части са само част от нещата, които отличават Hotel Sea View Palace от останалите хотели в града. Гостите на хотела могат да изберат една от 14 стаи, в които се усеща атмосферата на спокойствие и хармония. Независимо от това, дали сте фен на фитнеса или просто търсите начин да отпочинете след уморителен работен ден, в хотела ще намерите най-висококачествените съоръжения, такива като гореща вана, частен плаж, спа, масаж. 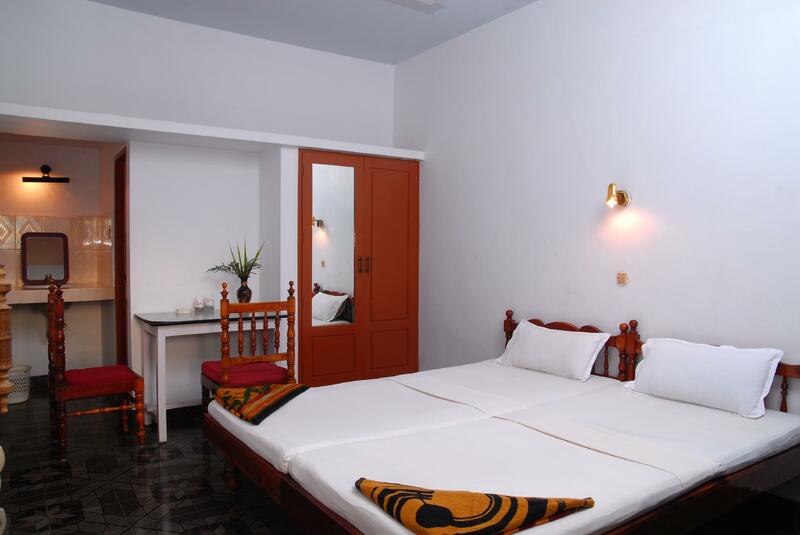 Когато търсите удобно и комфортно място за настаняване в Kovalam, изберете Hotel Sea View Palace, който ще се превърне във втория Ви дом. Отседнахме 7 вечер/и в март 2017 г.
Месторасположение - лучшее на Lighthouse beach. Есть отличный расторан при отеле. Но масса проблем в самом - кондиционеры старые и нерегулируемые, вентилляторы ещё старше и грохочут так, что спать невозможно, а самая главная - практически постоянное отсутствие горячей воды, которая даже по требованию далеко не всегда предоставляется. Отседнахме 16 вечер/и в ноември 2014 г. As a room with a view and a location, then this is probably ok. However I could write an essay on the difficulties and horrendous treatment from staff. The hell of 22 hours without power (and without care or concern from staff and management) in the stifling heat, only enhanced the other shortcomings. I would advise others to search for another place to stay. (most had back up generators, and rates are extremely better). This place is an absolute disgrace to Indian tourism! I have booked this hotel seeing photos and amenities but it lacks all those, its all fake. 1. Doesn't have proper car entrance, you have to walk uphill road for 5 to 10 mins. Means your luggage also needs to be carried. 2. All the pictures in any booking site or google are very old, no match with actual property. 3. No geyser no hot water. I have checked this is for entire hotel. They will provide sometimes hot water bucket or Emerson Rod. 4. No exhaust fan in any room, no ironing service, no laundry. 5. Doesn't have restaurant at all, the picture given is fake, there's no restaurant called Santana. So everytime you need tea coffee you have to be dependent on nearby front independent restaurant. And if you ask the hotel boy to bring tea/coffee it will not be hot anytime. 6. They have have a stiff big size stair for rooms and no lift, climbing that stair 2-3 time in a time will take all your energy. And not at all suitable for seniors. See attached picture. I had a good stay at this hotel with my wife and 3 years old kid. The property is right at the beach. Room was clean and good. The manager Mr. Amar was extremely helpful. Full marks for his hospitality! I opten for a standard room. When we ended up there, what we got did not look anything like what I saw. The rooms were clean. But its not worth the money. Even if its at a much lower price. Stayed in two AC rooms from 7-9 th October, 2016. This is ,my experience. Good Points: 1. Location: Very good location, just 10 feet away from sea beach. Very nice view from shared balcony. 2. Rooms were clean. 3. Restaurant food was good. Now bad points; 1. I have booked sea view rooms and before booking, called manager to confirm, for my room. But after arriving, he just refused to give me the proper room. After arguing for 15 mins, another person came in and given me the sea facing room. 2. We booked, AC rooms. But both the rooms, AC was not working. We complained 3/4 times, but no action from staff. Rooms were very very hot. 3. Heavy power cuts in the hotel. Rooms were like furnace. 4. No intercom in the hotel. ZERO room service. 5. Both the rooms, TV were not working. Again no response from staff. 6. No personal balcony, all shared balcony. 7. Both the days in our staying, 3-4 people were working in the balcony. So, we could not open our window curtains. No privacy. 8. When no power, no water in the room. Again no response from staff. Totally worthless staff. 9. Big gaps in the balcony. Any kids can fell down to the ground floor from top floor. 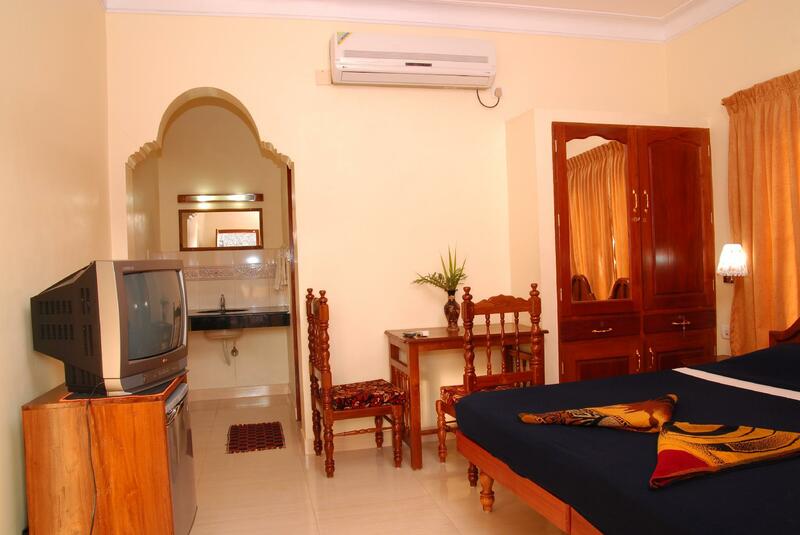 I stay with my Frnd on 1day.gud budget luxury rooms. 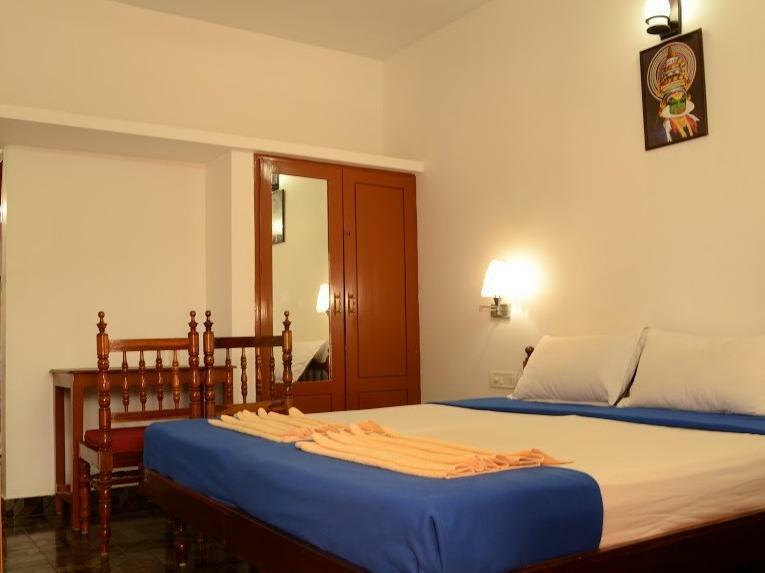 Book this hotel via online is best choice only 710₹ in agowebsite.it is one of the best budget hotel in kovalam.But no parking fecility its too bad. Hotel located at nice place and can stay. It is average but no problem for 1 or 2 day staying. Location, price, service. The rooms were cleaned regularly on request. The main difficulties were the lack of water in the beginning and the power cuts. It would be good to have a generator. 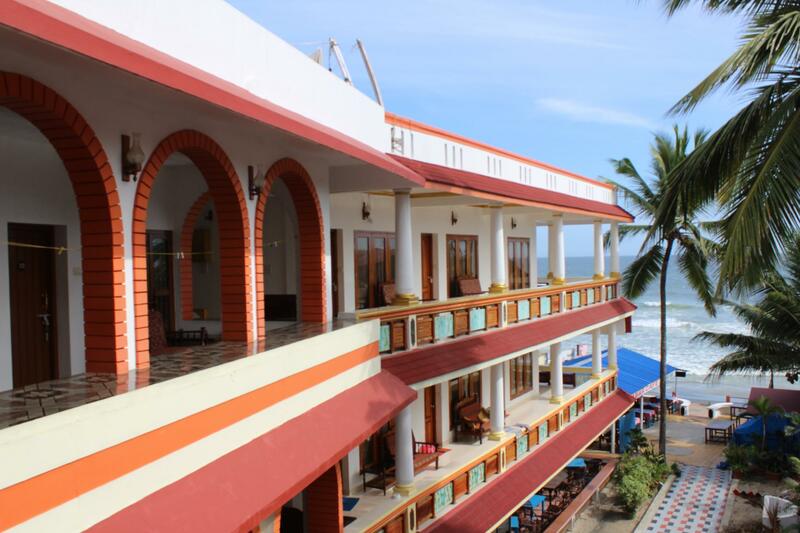 Our stay at the Hotel was like Home Away Home at Kovalam Beach.